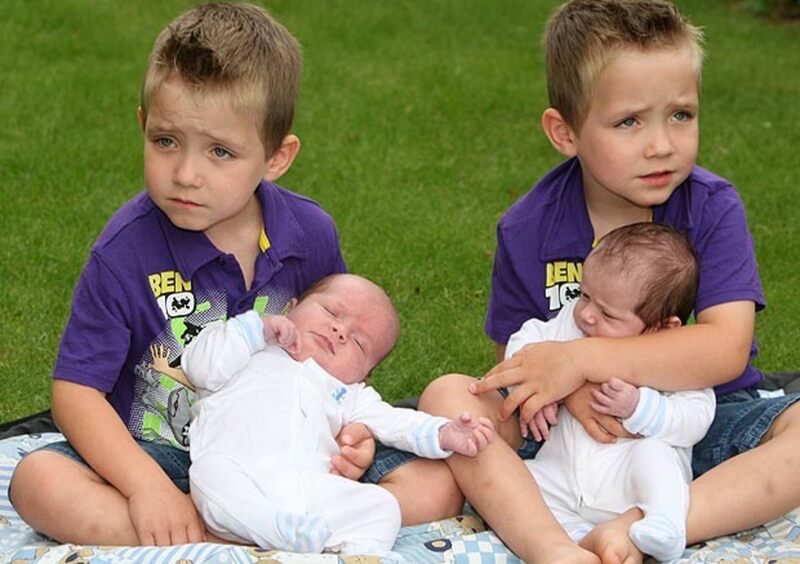 I am a mother of four who has experienced a twin pregnancy. I like to share my experiences with expecting mothers. Whether you would love to have multiples or are terrified by the idea of carrying more than one baby at a time, it's very common for pregnant women to wonder if they could be having more than one baby. You may have a higher chance than you imagine; the rate of twin births, along with triplets, quadruplets, etc., is rising every year. More than one out of every 30 pregnancies contains more than one baby. Here are some signs that could indicate multiples, along with the symptoms I experienced when I was expecting my twin daughters. Many symptoms for twins are simply more extreme cases of typical pregnancy symptoms. What Are the Early Symptoms of Twins in the First Trimester? It is possible to get a positive pregnancy test slightly sooner with twins than with one baby. Since the human chorionic gonadotropin (HCG) levels are higher with multiples, they show up a little sooner. However, it is hard to determine the exact levels by a home pregnancy test. Getting blood work done by your doctor will get more accurate results. If the HCG levels seem higher than normal to a doctor, they will usually order an ultrasound, which will tell you for sure if there is more than one baby. My doctor was concerned by my high HCG levels at my initial appointment and ordered an ultrasound, which was how I discovered for sure that I was having twins. Most women suffer some type of morning sickness during their pregnancies. This is believed to be caused by the rise of HCG levels. An extreme version of morning sickness is known as hyperemesis gravidarum. This is when nausea and vomiting is more persistent. According to Dr. Christine Greves, an ob-gyn at Winnie Palmer Hospital, this condition is more prevalent when pregnant with twins. My morning sickness was about the same with my twins as it was with my first pregnancy but it started a lot sooner after conception. Lack of energy is a common pregnancy symptom but carrying multiple babies causes a bigger drain on the body. This symptom may not be noticed by first-time mothers or older women who attribute their exhaustion to their age. In my experience, the fatigue was much more extreme during my twin pregnancy than it was during either of my two single pregnancies. According to the American Pregnancy Association, women carrying twins will gain around four to six pounds during the first trimester, considerably more than the two to four pounds a single pregnancy will gain during the same period. An expecting mother with twins can expect to feel more precise fetal movements sooner than with a singleton pregnancy. According to What to Expect, a mother with twins can detect specific kicks, punches, or elbow jabs late into the second trimester. 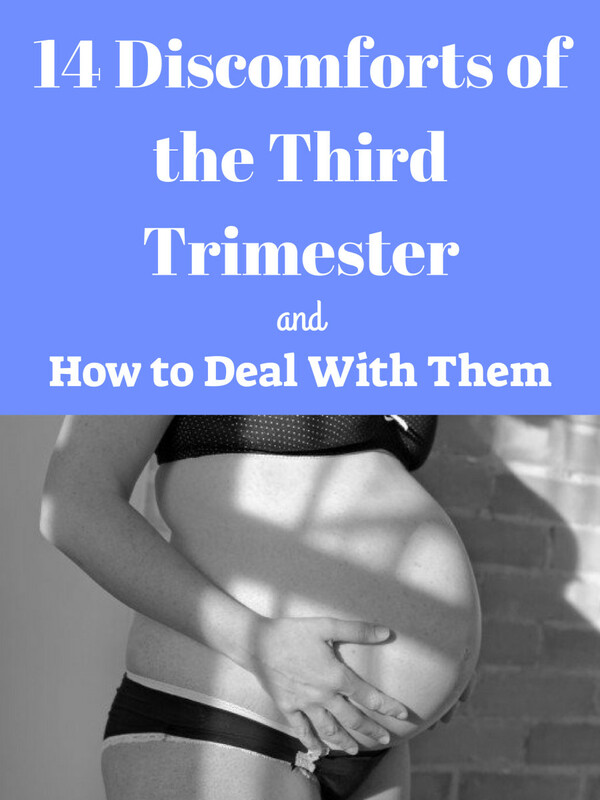 A singleton pregnancy usually feels these in the early third trimester. A mother may also be able to feel movements in different parts of their belly at the same time. While these are all strong indicators of carrying twins, they are not guaranteed signals. At the end of the day, the only certain way to know if you are carrying more than one baby is with an ultrasound. The majority of the symptoms for a twin pregnancy are similar to a singleton one, just more pronounced. This is generally caused by all aspects of the pregnancy being elevated. Your HGC levels will be higher, your multiple babies will require more nutrients, and you will carry more weight. Overall, there is not much of a radical difference. Since babies start out smaller than a grain of rice, even having quintuplets won't give you a gigantic belly overnight. However, the further along you get, the bigger you will become if you are expecting more than one baby. The uterus can grow larger and at faster rate due to the presence of multiple embryos. Measuring larger than usual for the gestational age is a major sign of a multiple pregnancy. Your doctor or midwife will probably be keeping track of these measurements and should notice a change in the size of your uterus as your pregnancy progresses. Extreme heartburn and an overactive bladder are also symptoms that are more pronounced during a twin pregnancy. This is simply because two (or more!) babies take up more space inside your uterus than one. They will put pressure on your stomach, which can push stomach acids up your esophagus. As the babies grow bigger, their weight will put more strain on your bladder than one would. Sore legs, feet, back muscles, and round ligament pain are also more common in multiple pregnancies. Again, the extra weight can be what is so hard on your body. 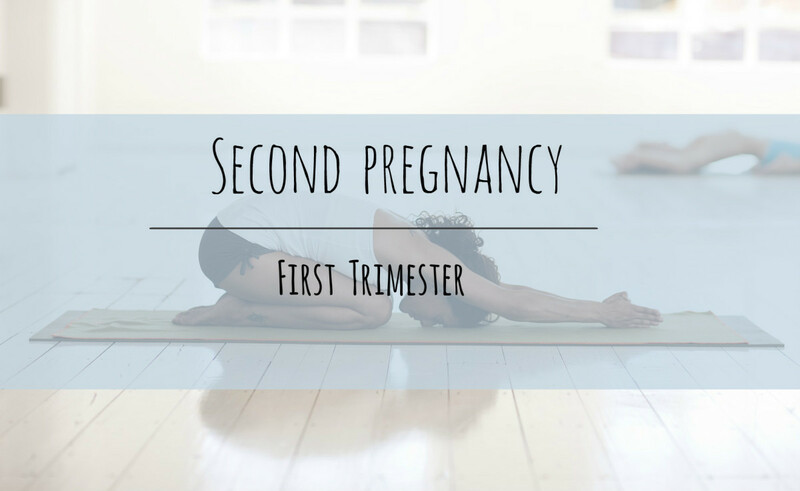 In my experience, my heartburn and muscle pain was much worse during my twin pregnancy. 3rd week: The zygotes of each child has now developed into a blastocyst and is now burrowing into the uterine lining. 4th week: Embryos are now developed. They will have two layers of cells where their organs and body parts will develop. 5th week: Embryos will now have their own amniotic sac and placenta. 6th week: Hearts will now begin to beat. 8th week: Arms and legs will now be developed. The nerve cells in their brain will now start connecting. 12th week: Fingernails are starting to grow in at this point and eyelids will now cover their eyes. They will also begin to grow tooth buds under their gums. 16th week: At this point, you can know the gender of your babies with an ultrasound. 20th week: The babies will now start growing out hair. 24th week: Their baby and adult tooth buds will now be set. They may also develop taste buds by this time. 28th week: Layers of fat will now be developing under their skin, which will smooth it out. 32nd week: Nails will now be developed on fingers and toes. Limbs will now be filling out. 34th week: Lungs will now be close to being fully developed. 36th week: Most multiple pregnancies will now be delivering soon. How Likely Is It to Have a Multiple Pregnancy? 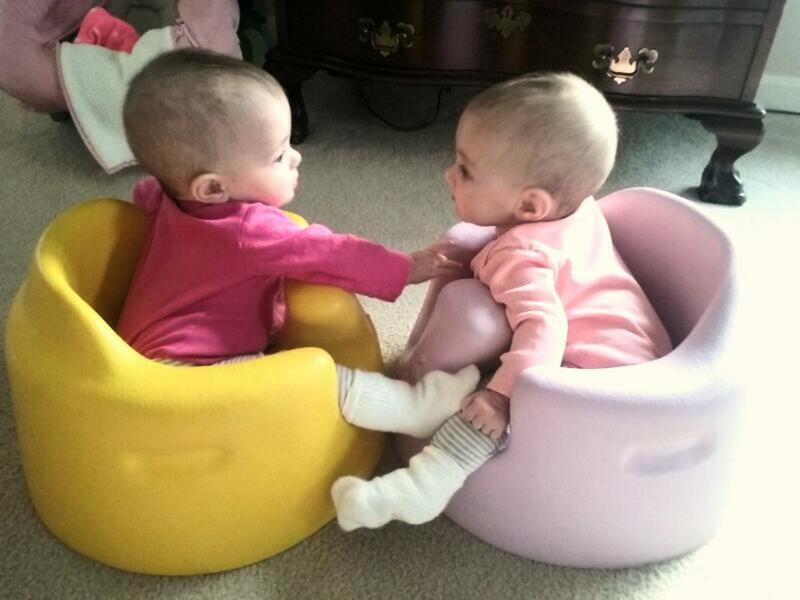 According to the Pew Research Center, multiple births make up 3.5% of all births. This accounts for nearly 140,000 births. This is a notable rise from the 2% that was recorded in 1915 when reliable data became available. Here are some reasons why the number may have risen as well as factors that could increase the chances of having twins. Age: According to the Centers for Disease Control and Prevention, the rise of twin births can be attributed to the trend of women now waiting longer to have babies. As women get older, their bodies will release more than one egg during a cycle, potentially causing a multiple pregnancy. This is more common after reaching age 30. One in five pregnancies at age 45 and over are multiple pregnancies. Fertility treatment: More women are now using fertility treatments. This includes using fertility drugs as well as procedures like in vitro fertilization. These treatments typically stimulate the ovaries and cause the release of multiple eggs, raising the chances of a multiple pregnancy. Going through IVF and struggling with conceiving can be harrowing. Be sure to check out this article of what to say to someone that is going through the process. Ethnicity: White and Black women are noted as having a higher rate of twin births. Their multiple pregnancies make up 3.8% and 4.1% of all births respectively. Conversely, Hispanic and Asian women have lower rates of having twins. Their rates are 2.5% and 3.2% respectively. Family history: According to Healthline, a history of multiples in your family makes it more likely that you will have twins. This is more likely with women who have fraternal twins in their family since they have likely inherited the gene to release more than one egg. 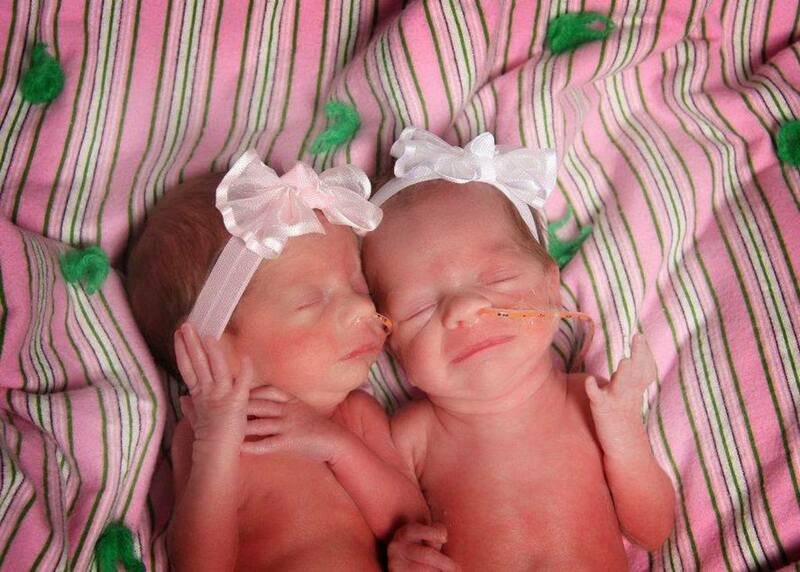 For more info, read this article on how to increase your chances of conceiving twins. Identical twins are technically the result of an amusing genetic malfunction. Fraternal twins often run in families. They are caused by hyperovulation, which means more than one egg is released during a cycle. If you have fraternal twins in your biological family, you have a much higher chance of getting pregnant with twins. Taking fertility drugs and getting pregnant after the age of 35 also increases your chance of ovulating more than one egg, which means you could be having fraternal twins, triplets, or more! Identical twins are a completely random occurrence and less common than fraternal twins. Age, race, and family history do not increase or decrease your chance of identical twins because they are technically a genetic malfunction caused by one egg splitting in half. My twins are identical, so although I had no reason to think I would be having twins, I got lucky! Be sure to read this article on the different kinds of twins out there. Is Twin Pregnancy High Risk? "Yes, they always are," says Dr. Serena H. Chen, an expert on Medanswers.com and a fertility specialist at the Institute for Reproductive Medicine and Science at Saint Barnabas Medical Center. While most twin pregnancies do well, the majority of them are delivered preterm. "The average twin pregnancy ends a month early. The risks for miscarriages, birth defects, and neonatal death as well as the complications of preterm delivery (which can affect almost every organ in the baby's body including the brain and the heart) are all significantly higher anytime there is more than one baby in a pregnancy." A multiple pregnancy does carry more potential for more complications. However, most women with twins can expect healthy children as serious problems are rare. Here are the potential risks that expecting mothers may face according to the University of Rochester Medical Center. Preterm birth: Over half of all multiple pregnancies are born premature, which is before 37 weeks. 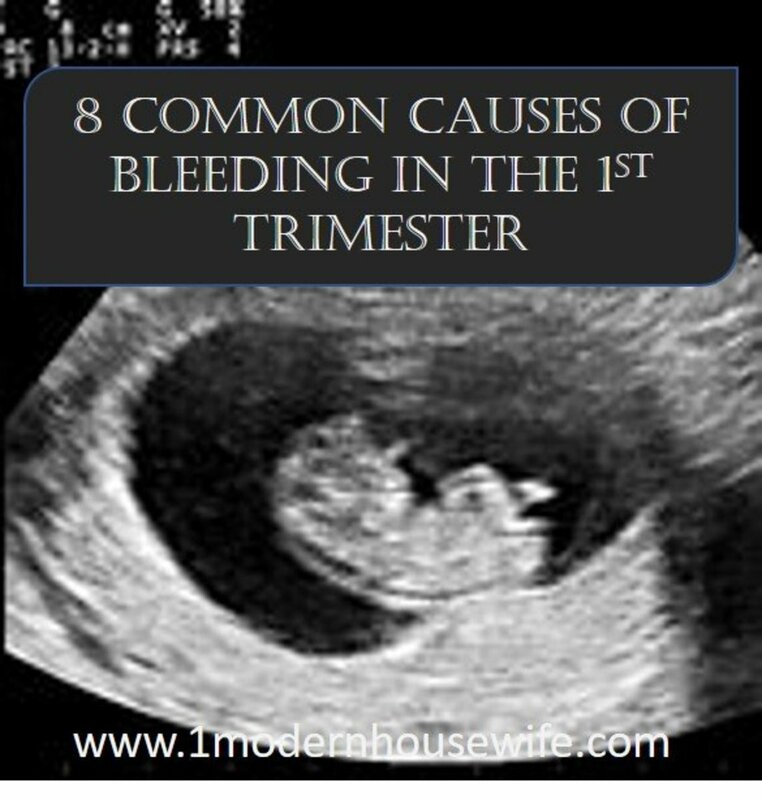 The is the most common issue with a twin pregnancy. The risk increases with more fetuses present. 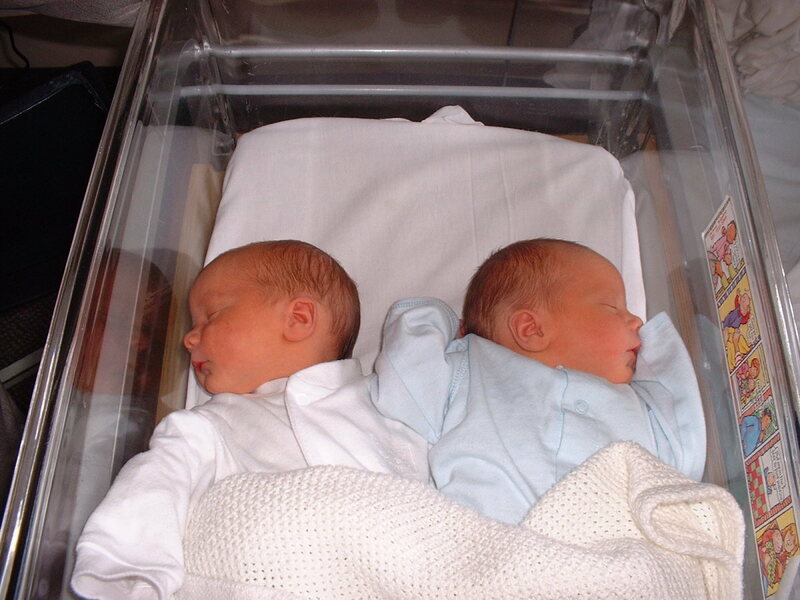 Most early twin births will need to be placed in a neonatal intensive care unit. Increased chances of anemia: Being pregnant can cause blood to expand and become diluted. This lowers the ability of blood to carry oxygen. This is typically caused by an iron deficiency, which becomes more prevalent when carrying multiples. You can read this article for an insightful account of dealing with anemia. Structural abnormalities: According to BabyCentre, the chromosomes of multiples are twice as likely not to develop properly. The most common defect is heart abnormalities, which are usually mild and can be treated by a specialist pediatrician. Twin-to-twin transfusion syndrome: This is a condition that occurs when blood vessels within a shared placenta diverts blood from one fetus to another. This causes an imbalance in amniotic fluid. This condition can be treated during pregnancy by laser surgery to seal the blood vessels. Will a Multiple Pregnancy Give Me High Blood Pressure? According to Dr. Chen, a twin pregnancy will have a 15-20% chance of raising blood pressure. This is significantly higher than the five percent seen in a singleton pregnancy. A common condition during pregnancy is gestational hypertension. This is when your blood pressure rises during the second half of a pregnancy. According to WebMD, it can occur earlier if carrying twins and the condition can be more severe as well. There is a higher chance that the placenta will detach with a multiple pregnancy. There is also the chance that you may develop preeclampsia, which can cause the breakdown of red blood cells and liver and kidney problems. It is important to see your doctor early and often as medication for high blood pressure may be needed. This is a condition where a fertilized egg implants itself outside the uterus, usually with the fallopian tubes. According to Dr. Jennifer Kickham, an obstetrician and gynecologist, and the medical director of the outpatient gynecology clinic at Massachusetts General Hospital in Boston, this condition can be life threatening as an embryo can cause a fallopian tube or blood vessels in surrounding organs to rupture, leading to severe internal bleeding. 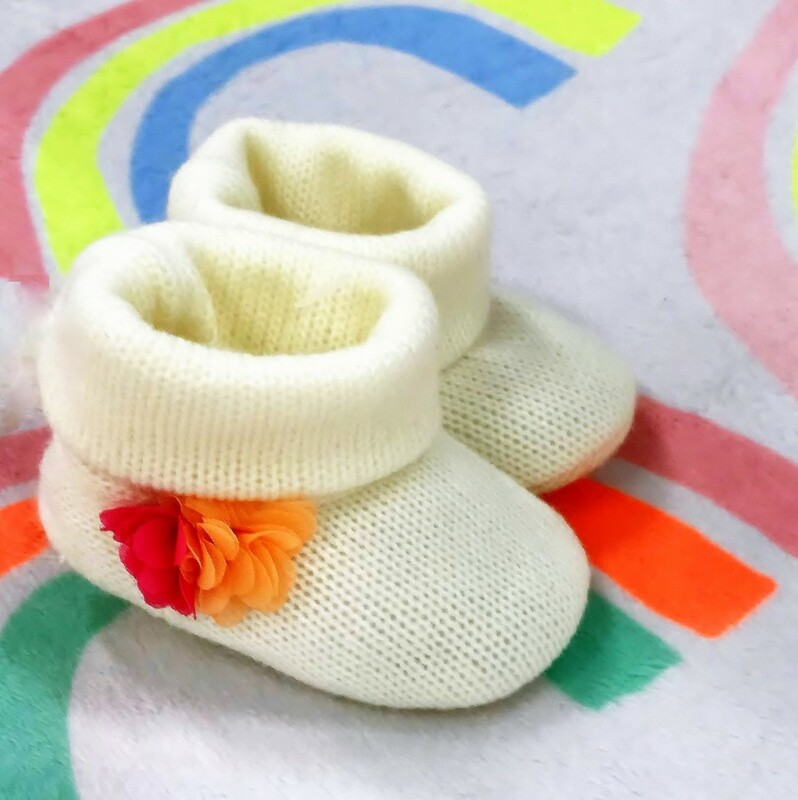 As it is impossible to move the embryo into the uterus, this condition can only be treated with medication that stops the embryo from growing or through surgical removal of the embryo. You can read this article for a personal account of an ectopic pregnancy. In a twin pregnancy, it is possible for one embryo to implant in the uterus while the other implants outside of it. This is known as a heterotopic pregnancy. In this case, medical treatment would be considered too risky. 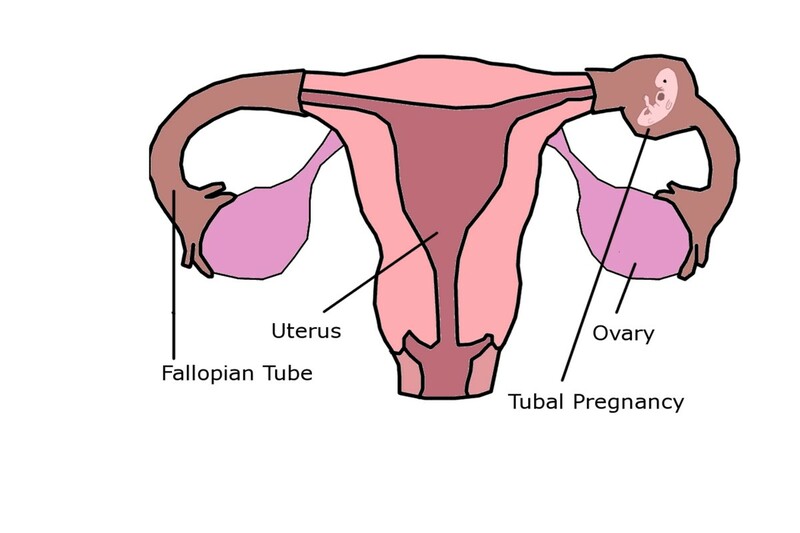 Surgery would be needed to remove the ectopic pregnancy but the twin in the uterus can still develop and be delivered. Did you have any idea that you were expecting more than one baby? Some mothers claim they were able to sense they were carrying twins. Can a Mother's Intuition Tell You If You're Having Twins? Many expecting parents say they knew they were having twins, even if no other symptoms were present. Intuition is a real thing and for whatever reason, many expecting mothers convinced that they are carrying twins or more turn out to be correct. Other parents say they feel that something is off, or just sense that there will be a surprise or that something different is happening, even if they don't exactly picture themselves having twins. Sometimes other people can sense that a woman is carrying twins, even if she has no obvious signs. However, many people are shocked when more than one baby appears on the ultrasound because they had no clue that there was more than one life inside them. This is one reason why early ultrasounds are important whether you expect to be having one baby or more. At the beginning of my first pregnancy, I had many dreams that I was carrying twin girls. When I ended up with one boy I figured the dreams had no meaning and forgot all about them. Five years later, after discovering my third pregnancy, many friends and family members made jokes about there being two babies despite having no family history of twins. When I asked how they knew, many people said they simply had a feeling. I, however, did not expect to be having twins. The pregnancy didn't feel real to me at first. As soon as I discovered that I was carrying two babies it made sense. Although all of these symptoms are signs that you could be having twins, triplets, or more, the only way to find out for sure (other than giving birth!) is to visit your doctor and have an ultrasound performed. While multiples are a wonderful blessing, the pregnancies can be riskier and it is very important to stay healthy and have proper medical care. Complications of Multiple Pregnancy. From University of Rochester Medical Center. Dubin, A. (2017, December 6). Pregnant? 3 Signs You Might Be Expecting Twins, from Parents. Fetal Movement When You're Expecting Twins. (2016, March 4). From What to Expect. Heartburn With Twins. (2016, May 17). From WebMD. How to Conceive Twins: Tips for Having Multiples. From Healthline. Livingston, G. (2015, December 11). Twins, triplets and more: More U.S. births are multiples than ever before, from Pew Research Center. Martin JA, Hamilton BE, Osterman MJK, et al. Births: Final data for 2013. National vital statistics reports; vol 64 no 1. Hyattsville, MD: National Center for Health Statistics. 2015. Nierenberg, C. (2018, January 9). Ectopic Pregnancy: Signs, Symptoms & Treatment, from Live Science. Potential Complication: Gestational Hypertension with Twins. From WebMD. Pregnant with twins: potential complications. (May 2016). From BabyCentre UK. Weight Gain with Multiples. (2016, September 2). From American Pregnancy Association. Causes of Cramping During Early Pregnancy and Should You Be Worried? I'm 12 weeks along with my third pregnancy I have two very active little boys under the age of five. And this pregnancy I did not know I was expecting for a month-and-a-half unlike the other two. But the past few weeks I have been feeling very tired and nauseous if I don't eat small amounts throughout the whole day and if I'm very nauseous I have to have something that has a lot of salt in it. To feel better. I'm 34 years old and I'm wondering if I might be expecting twins I'm already feeling some movement. Great article! 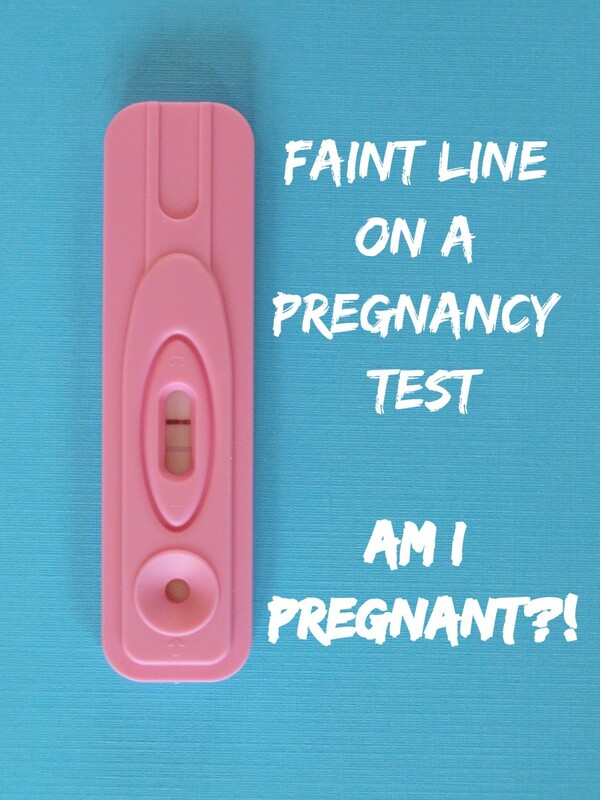 When I took a pregnancy test at 5 weeks the line went dark almost immediately. I also have extreme fatigue and heartburn, so wondering if there’s more than one little guy in there. You’re so lucky having twin girls! Thank you for the great information. No history of twins in our family, but I had previously done ovulation strips where I was seeing two ovulation spikes. I naturally thought I was misreading the test strips. I have PCOS which causes me to skip cycles, which in turn causes me to hyper-ovulate. When I became pregnant in October 2017, I felt nauseous at exactly 4 weeks. I did the pregnancy test that night and the test result was VERY dark, which surprised me. I made an appointment with my OBGYN who scheduled a viability scan prior to the OB appointment. During the three week wait to the ultrasound my nausea got terribly worse. I had a suspicion that there would be twins. As soon as the ultrasound came up I saw the two gestational sacs, "Is that what I think it is?" was the first thing out of my mouth. "Let's see if they both have heartbeats." My husband was clueless as to what we were saying, but as soon as he caught own we were both completely speechless, except for the occasional "Twins" and "Two." I'm currently 31.5 weeks with a boy/girl set of twins. During my 3rd pregnancy I have had morning sickness or nausea. I was constantly starving but when I eat, I immediately feel sick afterwards. It was lasting all day long! The only thing I could really tolerate was saltine crackers and No to morning sickness tea! I drink the tea all day long and use the same bag. It is definitely helping me.